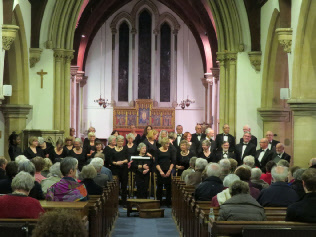 The Palm Sunday concert sung by Twyford Singers at St Mary’s Church comprised Fauré’s Requiem, with solos from the choir. 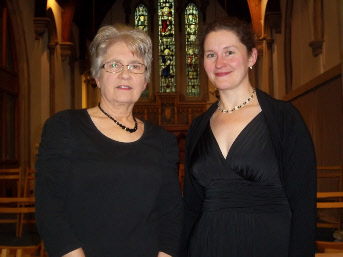 Our musical director, Helen Styles sang Pie Jesu and Sue Thomas, a member of the choir, sang Offertorium. 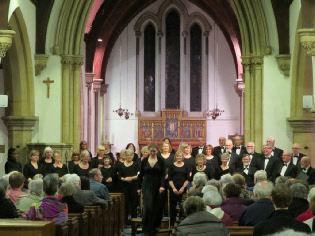 The rest of the programme, sung by the full choir, included Fauré’s Cantique de Jean Racine, Druffle’s Ubi Caritas and two items written by Bruckner. 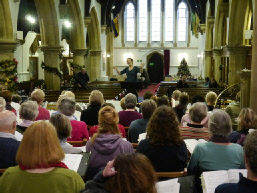 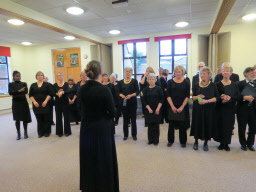 "The choir were very disciplined particularly in the Requiem". 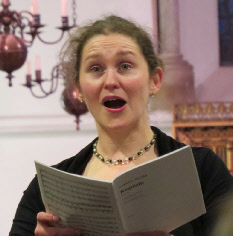 Another member of the congregation stated "When I heard you sing, especially the last piece (In Paradiso), I really felt I should be singing again myself."